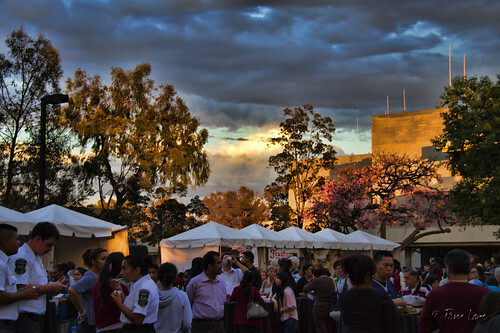 Tonight was the second annual Taste of Downey event. A couple thousand people were expected to attend on this beautiful evening, with just the hint of a threat of rain. Last year's event was crowed into a smaller space to the point that you couldn't move. But this year was great. 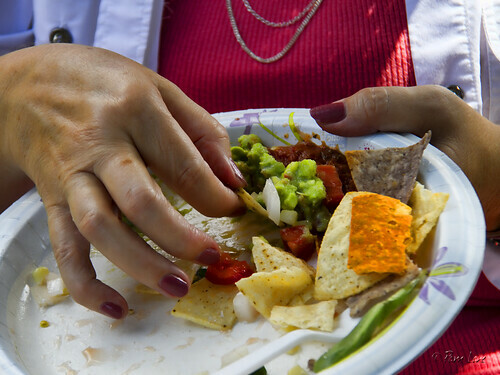 Over 30 vendors participated, providing the opportunity to sample great food from local restaurants. 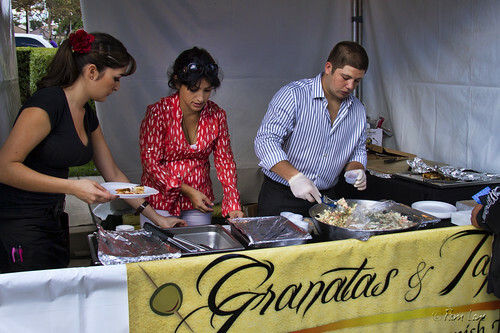 Granata's, now under new ownership and renamed Granatas and Tapas, was celebrating its soft grand opening tonight. 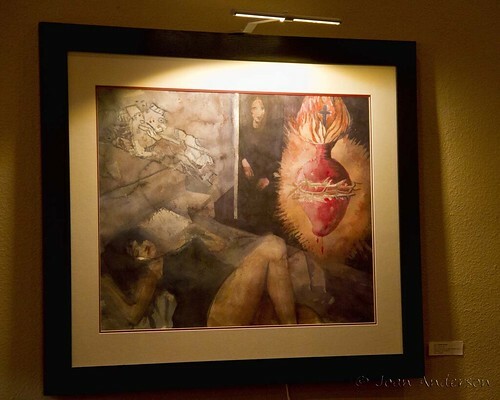 A new addition to the event this year was an art display featuring the works of 15 local artists, including works by all three of us Downey Daily Photo bloggers. More on that in my next post. At the Downey Landing last night, I almost walked onto this sign while this man was preparing to paint it. My dad saw this when we were in Michael's today looking at frames. I guess someone forgot to insert the directions in French and Spanish! Last Saturday we started our day watching empty water barrels being given away for disaster preparedness (see Ready or not). We spent a while there chatting with a number of the helpers. Many of them had been there since the wee hours of the morning. 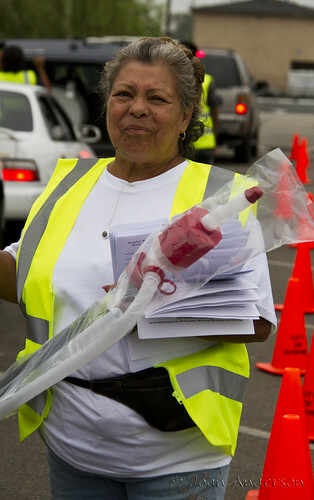 I don't know this woman's name, but she was one of the volunteers for the day. 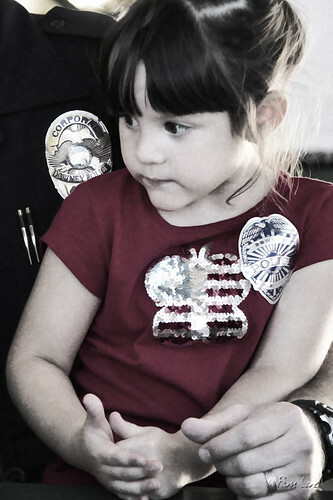 She was cheerful, greeting everyone with a smile and information to help in case of an emergency. She clearly enjoyed serving. One of the fun things about living in a relatively small town is that it's possible to get your picture into the local paper without doing or being anything out of the ordinary. 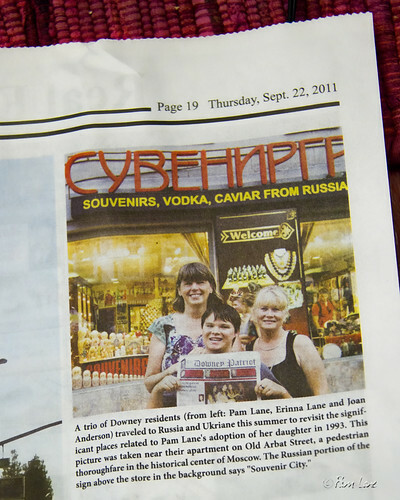 To this end, we carried around a copy of the Downey Patriot with us on our summer vacation. 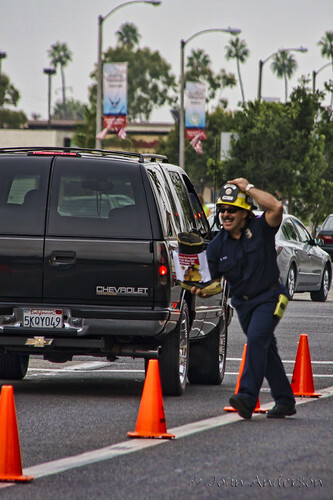 Saturday was a busy day for events in Downey. 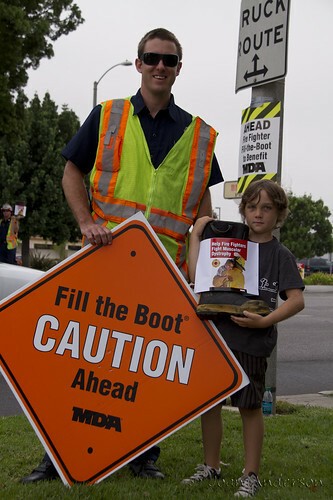 In addition to the Downey firefighters fundraiser for the Muscular Dystrophy Association (see "Big boots to fill"), the Downey Emergency Preparedness Committee (EPC) and Community Emergency Response Team (CERT) distributed free plastic water barrels for emergency water storage. These young guys handing out barrels are volunteers from the Warren High School Red Cross club. 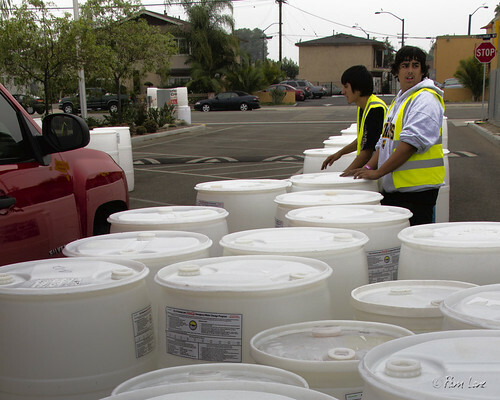 The barrels were donated and prepared by the Downey Coca-Cola facility (see Things go better with...). The barrels varied in size from 15 to 55 gallons and there was a limit of one barrel to a car. I got one of the smaller barrels. 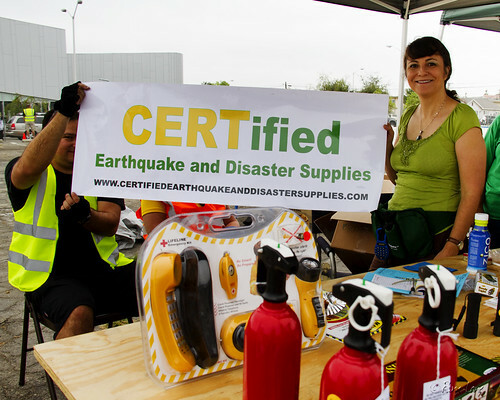 In addition, in the parking lot next door to the distribution location, the EPC, CERT, and American Red Cross hosted an emergency preparedness fair. I learned how (and when) to turn off the gas in case of an emergency. (Turn it off when you actually smell gas; don't turn it off "just in case," because you'll have to wait for the Gas Company to turn it back on for you.) And I learned about my embarrassing lack of disaster supplies while browsing at this and several other displays. But at least I'll have water! 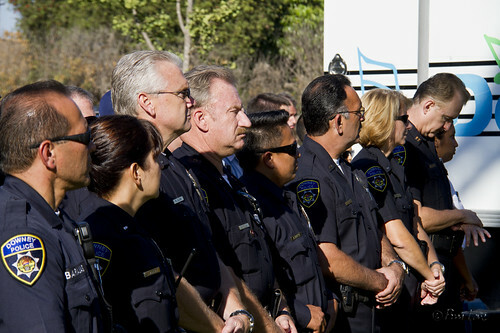 Yesterday, the city unveiled a memorial to fallen police officers in front of the Downey Police Department. 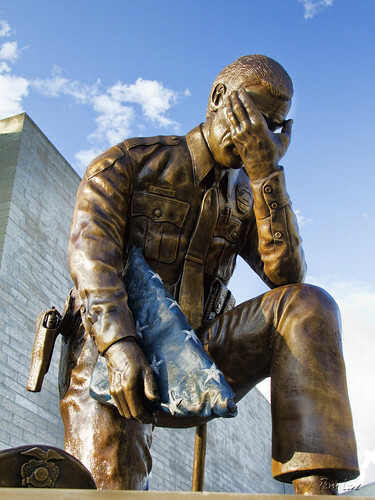 The memorial's plaque describes the death of Officer Wayne Presley, the only Downey officer killed in the line of duty. 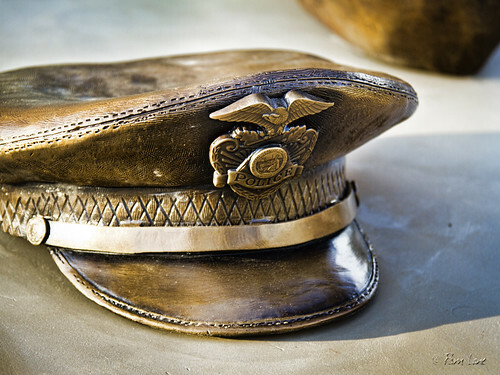 "On the evening of April 10, 1981, Officer Wayne Presley and his partner were assisting a stalled motorist at a major Downey intersection when they were struck by a drunk driver, critically injuring one officer and instantly killing Officer Presley. He was 37 years old and left behind a wife and three children." I puppy-sat for my brother's puppy today. She is a rescue from the Downey SEAACA, our local animal services facility. Why anyone would want to throw away this sweet girl is beyond me. Tonight I went to the Downey Cemetery. I wanted to get pictures at sunset of this lovely setting. 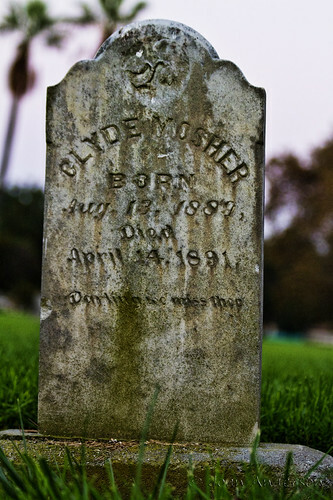 It is a beautiful cemetery and gives a sense of the history of Downey. So many of the grave markers date back to the mid-1800s. 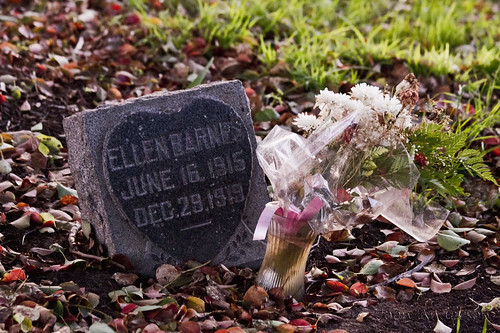 I was surprised to see fresh flowers on this grave stone from 1919. 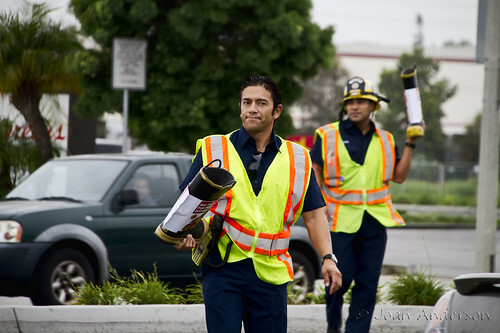 I've recently become addicted to following the Downey news through a couple of Facebook pages. 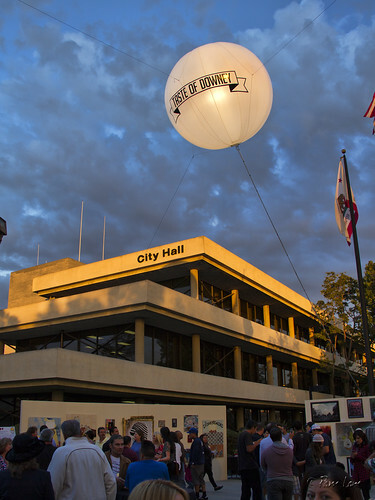 It's a great way to keep up with local community events (that is, more stuff to take pictures of for Downey Daily!). 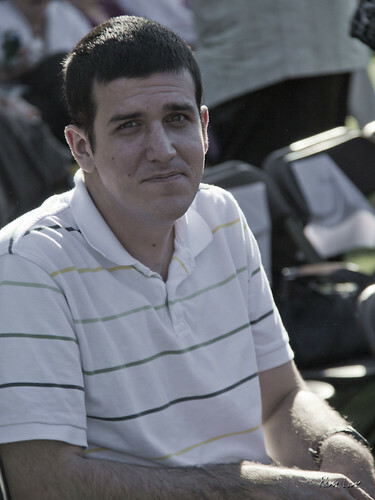 The Downey Beat, founded by Ben Baeder, is a new site that provides "deep, constant news coverage of Downey and its surrounding communities." 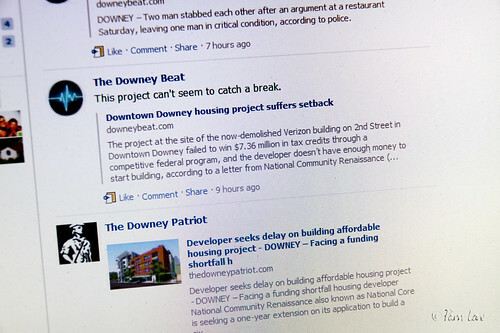 The Downey Patriot newspaper has been around for years, but I only recently discovered its Facebook page. I have to confess, I've never been fond of the newspaper format, so I really only started reading the Patriot regularly after they ran a story on Downey Daily. So I'm really enjoying getting their daily updates on Facebook. I've been dieting, fairly successfully, for about nine months now. 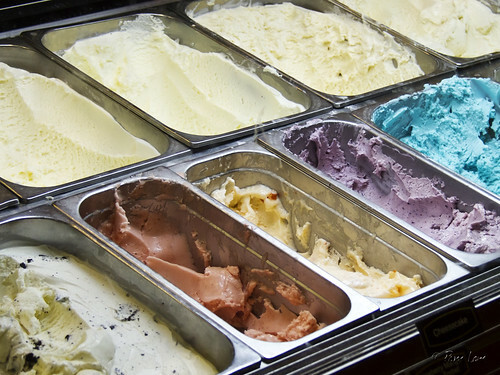 But the thing that always trips me up is ice cream, especially Cold Stone Creamery—the ultimate ice cream experience. So, the question for today is this. 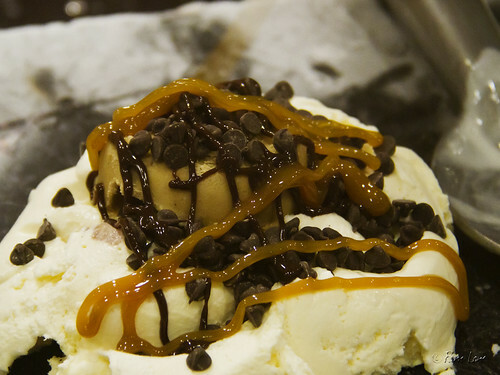 Did I end up splurging at Cold Stone tonight because I went to Downey Landing in search of a picture? Or, did I go to Downey Landing tonight in search of a picture because I wanted to splurge at Cold Stone? Growing up in Downey, we were all aware of Rockview farms. Since we were only about a mile from the dairy, I remember a group of us frequently riding our bikes to the dairy to watch the cows. I even remember getting our milk delivered by the Rockview milkman. Well, there are no cows there now, just the processing plant. But I was intrigued to learn that the milkman is not a thing of the past. Rockview still delivers! And, according to their website, the delivered milk hits your doorstep only about 48 hours after milking. The family-owned and operated dairy has been in business since 1927. They are one of the last dairies in the state to own their own cows and process, package, and distribute their own milk. 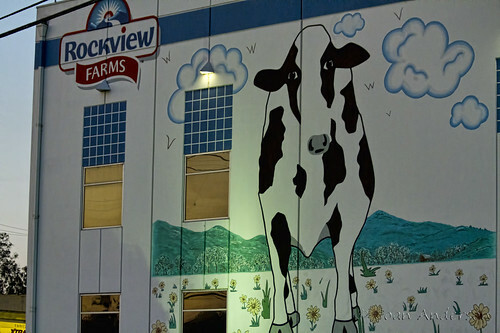 Click here to visit the Rockview Dairies website. 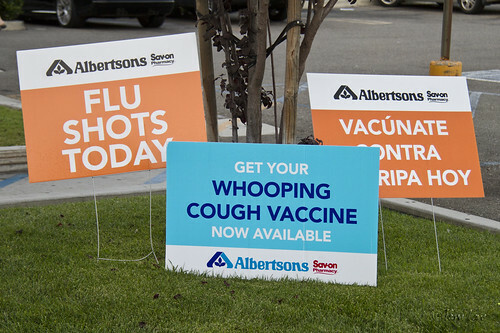 These signs tell me that flu season is approaching. Like the first day of school, it means that summer is over and fall is nearly here. For my international readers, do your grocery stores provide more than groceries? Or is this just an American custom? It seems weird to be taking pictures of other cities but when I went to Glendale this last week, I couldn't help but wish we had somewhere like this to hang out in our own town. Shops surround the park with gorgeous apartments on top of them. 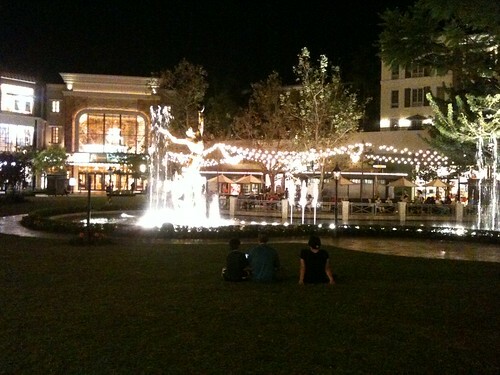 The lights and water and jazz music was incredibly peaceful and beautiful. An ice cream shop on the corner provided the perfect ending to the night. The whole place looked thought out and well developed. Well done Glendale. It's a funny feeling, being asked your opinion from a total stranger. But it happens a lot in this town. Usually it's just a glance looking up from the shoe mirror under the bench with a question of, "Do you think these looks good?" Today however, we were asked our opinion about some shoes, and another pair, and another color, and another size... We were this woman's personal shoppers in that aisle. It was fun for a while but I definitely decided I never want to do that for a living. More from yesterday's 9/11 program and concert at Furman Park. Honor Guard posted the flags. Hospital Corpsman Third Class Eric Rogers, home temporarily while recovering from injuries sustained while on duty in Iraq, led the flag salute. 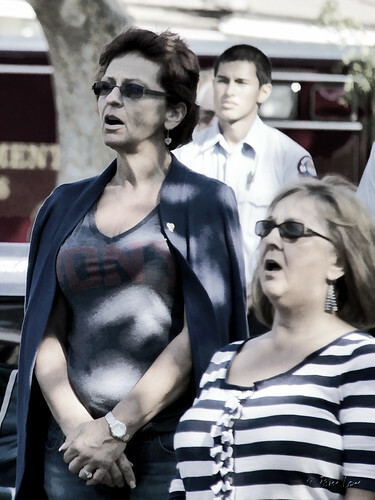 Sheila Jacobs sang our National Anthem, joined by many in the crowd. 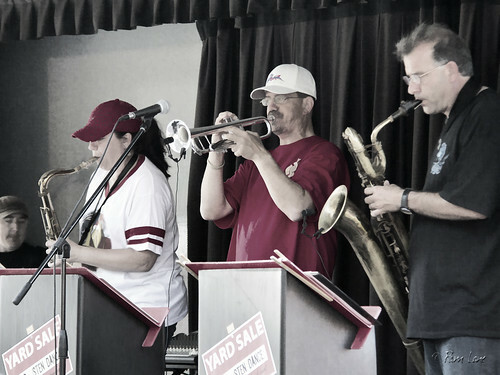 The concert featured the band "Yard Sale." 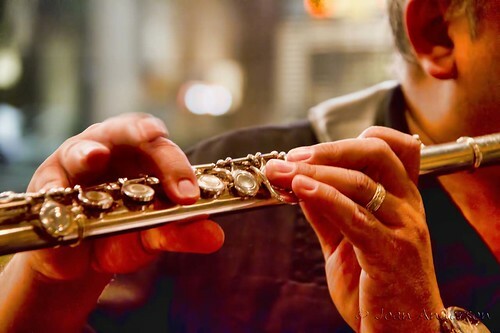 The music was enjoyed by young and old. Today is 9/11/11. Ten years after the terrorist attack of 9/11/01. 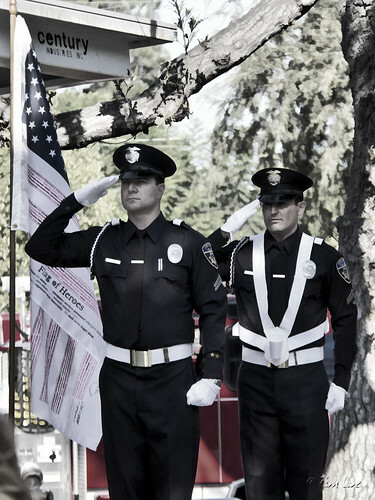 Today at Furman Park, Downey celebrated the first responders. 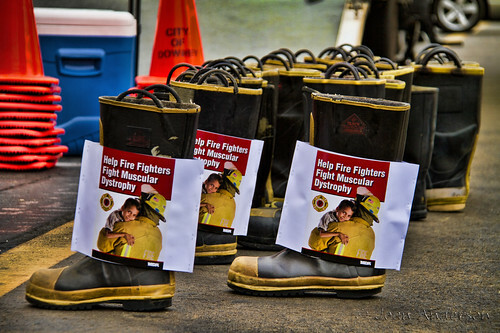 We honor the first responders to the World Trade Center, many of whom lost their lives when the towers collapsed. 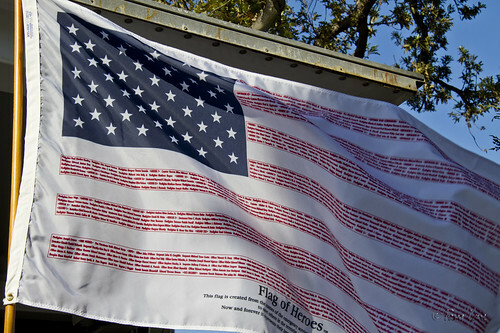 The Flag of Heroes lists all of the first responders who lost their lives. 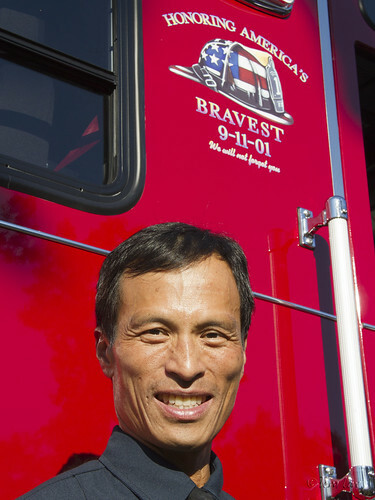 Lonnie Croom, Downey's Fire Chief, said that since 9/11, fire stations have adopted the motto "We will not forget you." But we don't just look back. 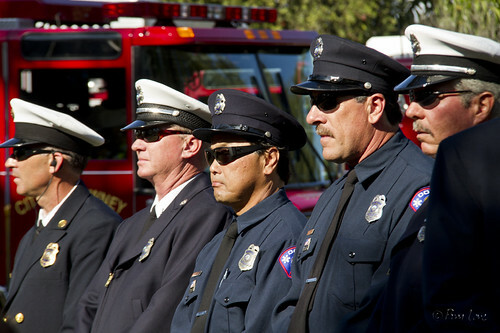 Looking forward, we honor today's first responders—the firefighters, police, and emergency technicians who daily risk their own lives to help keep us safe. We had a great turnout for the second "Art on the Vine" which featured two local artistis, Rocio Alejandra Garcia and Carlos Durazo. 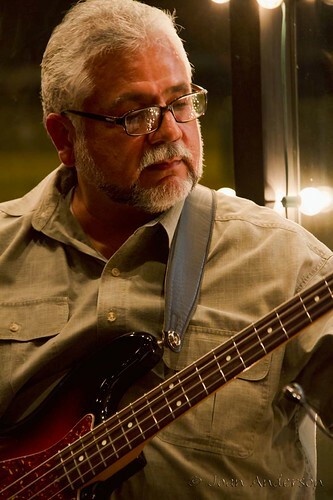 For the musical component, we enjoyed Sax Serg Music. 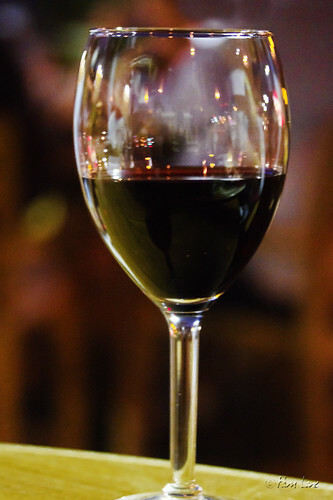 It was another great night to appreciate some amazing talent, chat with locals, all while enjoying a good glass of Cabernet. 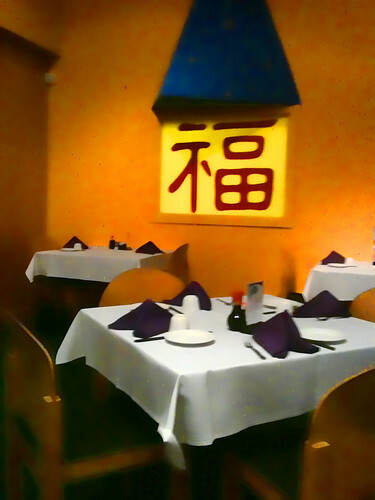 We are always trying to go to new restaurants and I somehow always forget my camera when we find one we like. I pulled out my iPhone for this one because it was just that good. It isn't exactly a hole in the wall but I don't think it is a chain either. It's called "Fortune Inn" in Glendale, about 10 minutes north of Downey. 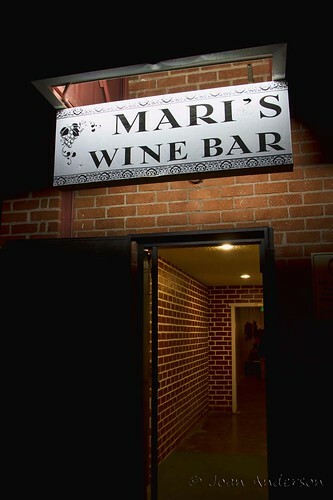 The service was excellent, food superior, and prices were less than I expected from that area and ambiance. All in all, I'm ready for my leftovers that are sitting in my fridge as I type. I'll just have to wait till tomorrow. Another Bumblebee image! 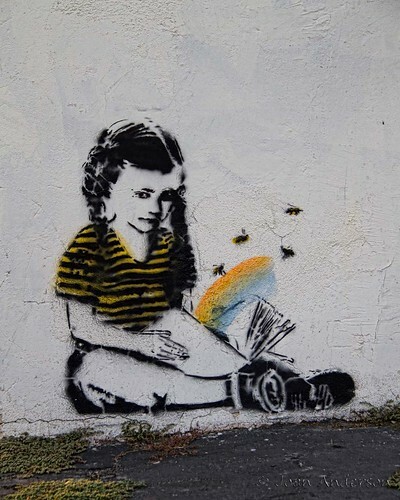 I'm always on the lookout for more pictures from street artist Bumblebee. They are usually found on the sides of abandoned buildings, and they are always engaging and a little sad. According to Bumblebee, his paintings reflect his message of innocence and coming of age. The bees represent vulnerability. For more Bumblebee pictures, see a previous post from last June. Or click here to see our first set of Bumblebee sightings. P. S. If you want to go by and see this one, it's on Firestone Blvd. on the side of the vacant storefront next to Steve's Locks. 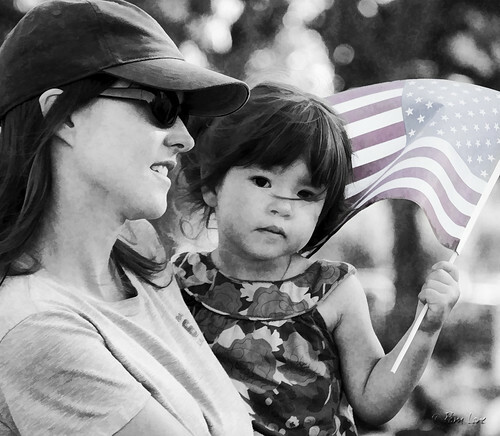 Today is Labor Day, a U.S. federal holiday since 1894. Most Americans celebrate the day, which celebrates the social and economic achievements of American workers, by not working. 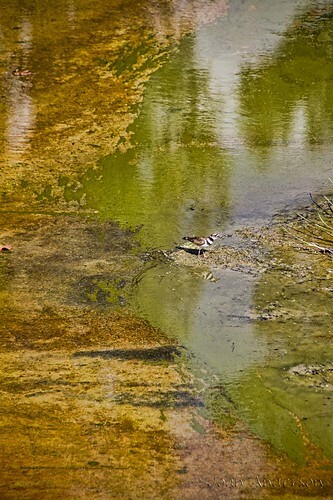 This Labor Day, in spite of our rather odd weather (we had a thunderstorm last night—what's up with that! 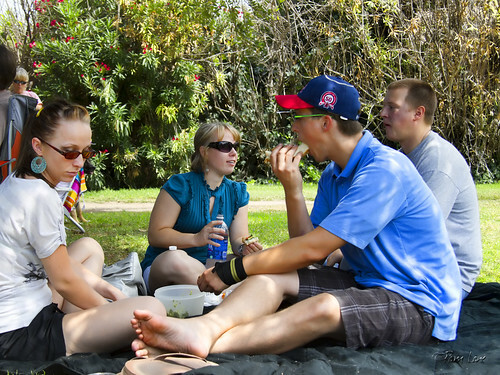 ), Furman Park was filled with people celebrating their day off from work. 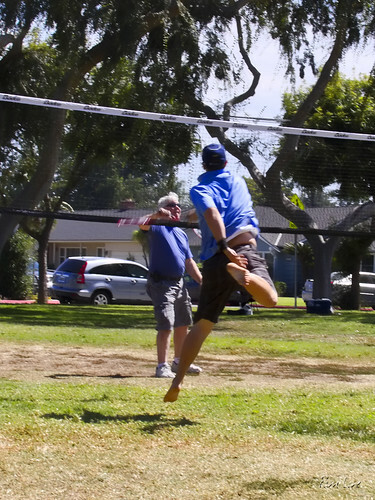 From picnics with lots of food to spirited games of badminton and three-legged races, everyone was having fun! On Friday, I showed you a temporary fence that leaves you wanting to know more. Today, I want to show you a construction site that's supplied the answers. 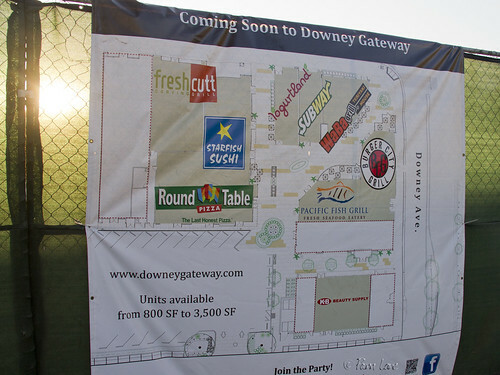 The Downey Gateway is a new development on Firestone Blvd. near downtown Downey. It is part of the effort to revitalize the downtown area. And lo and behold, it has a huge sign letting you know exactly what's coming! And it looks like food, food,and more food—along with an open area in the middle for strolling, sitting, or just watching the people.